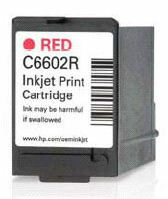 The HP Q2299A carrier product is an OEM inkjet printhead mounting and implementation solution for the HP TIJ 1.0 C6602A (black), C6602R (red), and C6602B (blue) print cartridges. This HP printer carriage assembly is suitable for OEM use in industrial and commercial marking and printing applications where print economy is important. 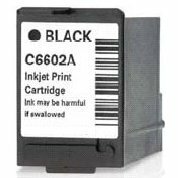 It allows for easy snap in and out for replacement of the cartridges in the HP C6602 cartridge family. This HP Carrier, designed specifically for static printhead implementation, provides the OEM with a rapid and efficient path to integrating the HP TIJ 1.0 C6602 inkjet technology. When you buy your Hewlett Packard HP products from Transact Supplies you are guaranteed Hewlett Packard OEM original quality.